Last year, Zoe Williams claimed in the Telegraph that the pizzas she’d had at Great British Pizza Co were “the best pizzas (she’d) ever tasted”. 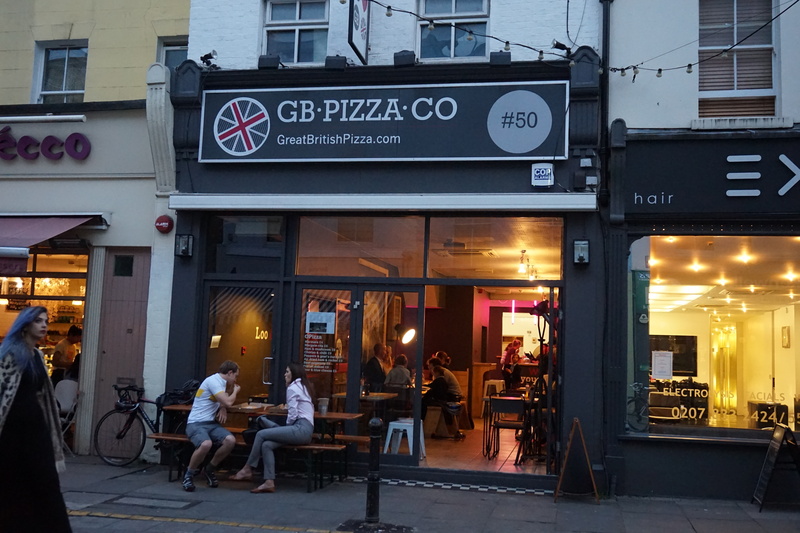 When we heard the Margate-based GB Pizza had set up shop in independent food haven Exmouth market, we had to get down there and try one for ourselves. 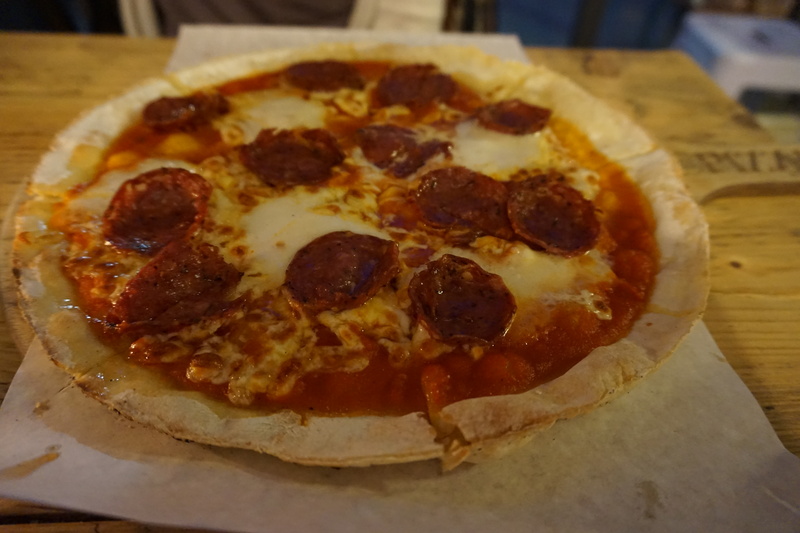 Like a UK Rossompodoro, GB Pizza use organic British sourced ingredients as far as they can. Home-grown produce has been a focus from the start; even when award-winning chef Rachel Seed & journalist Lisa Richards sold their wood-fired pizzas from the back of a 1974 VW Caravan they were using ingredients from the producers they met at farmers markets and festivals. Following resounding success in Margate, a town they ‘fell instantly in love with’ they expanded to Exmouth market in April 2014, after the not-so-trivial business of installing a wood oven was completed. We were greeted by Gaba, an Argentinian waitress, working alongside her part-time studies, who recommended we go with Fennel Salami (with salami made in Kent) and the special fig, parma ham and rocket pizza. We took back a couple of glasses of red to our tables and admired the décor which is based on their modern yet eclectic Margate look; dark grey with pink neon lights, industrial touches and roughly-hewn furniture. Now for the important business: the pizzas were simply excellent. The crust was honestly like none we had had before, with the texture and taste of regular pizza bases. Had we not known already, neither of us would have guessed they were gluten-free, and there was little wonder that they were so good when we found out the science behind getting them right: after 18 months of experimentation they finally settled on bases created by the excellent Annie’s Larder, and the bases need to leave the freezer and enter the 550 degree oven within a minute or risk losing their consistency. Aside from the base, the toppings were top quality and the special pizza was particularly nice – I’d never seen figs on pizza before but they were perfectly complemented the parma ham and rocket. 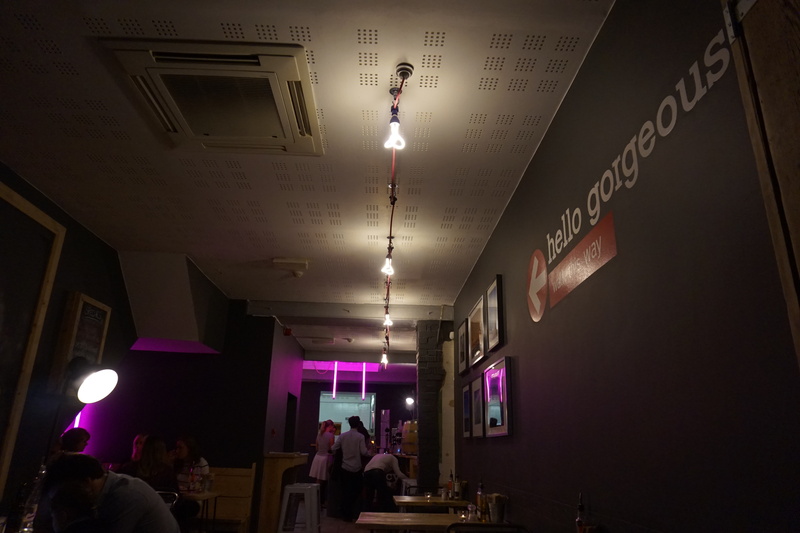 A great story, simple yet tasty food, enthusiastic staff and passionate owners with a focus on getting it right; it’s easy to see why GB Pizza is going from strength to strength.